Breaking News: Mining Pool for PascalCoin (PASC) Is Now Available! more details below.. If you’ve been following the latest news about PascalCoin, you surely know that this once unpopular altcoin is now becoming quite popular among miners. Countless people have been looking for ways to mine it. The reason is simple – PascalCoin allows you to mine solo blocks without any historical records, while also providing you with control on double spending and check balance. Some days ago the altcoin got implemented into the Poloniex exchange, which made it one of the most lucrative coins to mine. Now, many people would avoid mining it because solo mining requires a powerful GPU rig. There was no pool mining support for the PascalCoin until today, when Nanopool released the first public PASC pool. Note that this miner is for AMD Radeon GPUs only, since i don’t have an AMD video card on this laptop i will not be able to show you the mining progress and the hash speed. But if you follow the instruction and you have a AMD GPU this tutorial will work for you. What Are the Benefits?What Are the Requirements?What Are the Rules? Obviously, the main benefit is that you will earn no matter how small your mining rig is. You don’t have to own a PascalCoin account to get started. Otherwise, you’d have to find a block first in order to get an account in the first place. If you don’t have a PascalCoin account, you can mine the coins to your exchanger account. For instance, you can register an account at Poloniex and trade the mined coins without any additional transactions. In fact, all top PASC miners use their Poloniex accounts for that. This allows them to find the best trade deals easier, and sell their PASC coins at the best prices. This is a good strategy to keep in mind since it allows you to profit not only from your hashrate, but also from trading the coins at the right time. First of all, you have to have a modified miner. We’ve provided the direct download link below. You will need a 64 bit Windows operative system – sadly enough, the new miner isn’t compatible with any other systems for now. But hey, it was only released today, so expect OS compatibility upgrades soon! It is recommended to have a GPU-based mining rig, since PascalCoin mining isn’t really effective when using CPU. You will be given an exchange address, which you have to use together with your personal payment ID. It is important to get those two right if you want to get your payments without any hassle. Pool mining differs from the solo mining you might be already using for PASC. For instance, the confirmation of block reward happens after 110 mined blocks, with the minimum payout being 1 PASC. The payout is based on the well-known PPLNS scheme – N is determined by the submitted shares from the last three hours. We’ve mentioned that you can make a lot of profit by selling the coins at Poloniex. This is due to constant price fluctuations, which is something that might or might not stay for a while. So you should keep that in mind too – it might be a good idea to get started as soon as possible, before the boom is over. Not that PascalCoin will die in a week, but it is possible that now is the time you can make the most money from your PASC coins. How to Get Started to Mine Pascal Coin on a Pool? As we can see in this example, the 86646-64 stands for Poloniex and the following code represents the unique personal ID that is generated for you for the exchange. Finally, the “123s” stands for your worker name. The –p value should stay at 0, while the –d should reflect the GPU’s of your rig you want to use for mining (Marked green since they are the same as when you perform solo mining). To check the mining progress go to nanopool and on top right of the page you will find a search form, there you will have to enter your wallet id and click search. That’s it, please feel free to ask any questions about the topic! – We use the PascalCoinMiner latest release (v0.2) – you can find the direct download link in the description. You will also need a working wallet (we will provide you with the download link as well). All you have to do is download both files and write down the wallet IP. Now the wallet is set and ready to go..
-s localhost is enough if you have only one mining rig. 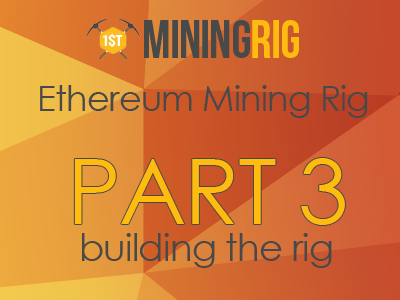 Otherwise, you might want to create a local network for all your active rigs. Then, you will use the local network IP for your wallet. As you could notice, we got one mining rig (-s localhost) with six GPU’s (-d 0,1,2,3,4,5). You get the idea. Best of the luck! Please keep us updated about your progress; we really look forward hearing from you!